It would seem that I’ve been on a bit of a lemon kick lately. Let’s blame it on those pregnancy cravings, shall we? Whatever the reason, lemon truly is one of my favorite flavors all of the time. Lemon is so refreshing and adds a brightness to everything it encounters. Breakfast is no exception. There’s something about waking up to the fresh scent of happy lemon. Yes, lemons inspire happiness in me! Pancakes also inspire happiness in me. 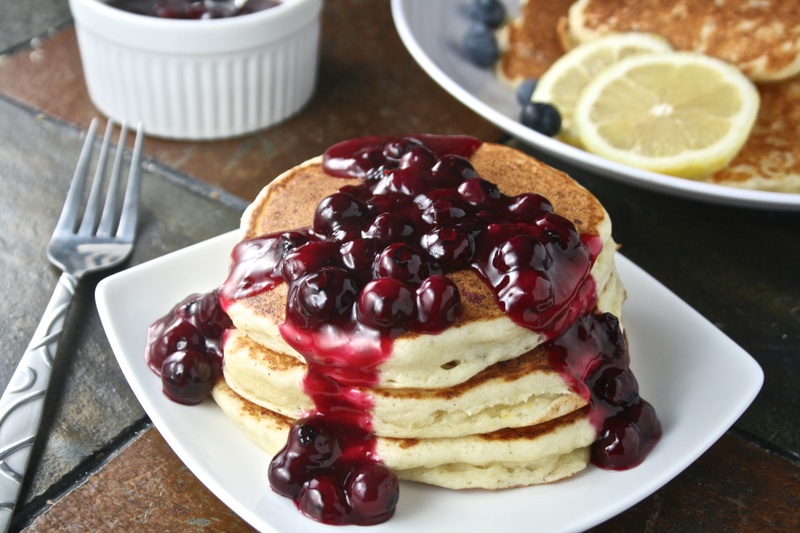 I’ve posted pancakes here before in two different variations (blueberry buttermilk and cannoli… yes cannoli pancakes! So good!) I’ve spoken about cooking with my father as a child as well as “Pancake Sundays” with HB. Pancakes have been a parent/child cooking tradition in our family for as long as I can remember. It’s one of those breakfast dishes that every time I eat them stirs up fond memories. This new variation is a delight that I’m sure will quickly become a staple to our “Pancake Sundays” routine. A light, fluffy ricotta pancake that gets brightened up by happy lemon zest as well as juice and then comes a natural companion to lemons… blueberries! The finishing touch is a warm, sweet, fresh blueberry sauce. 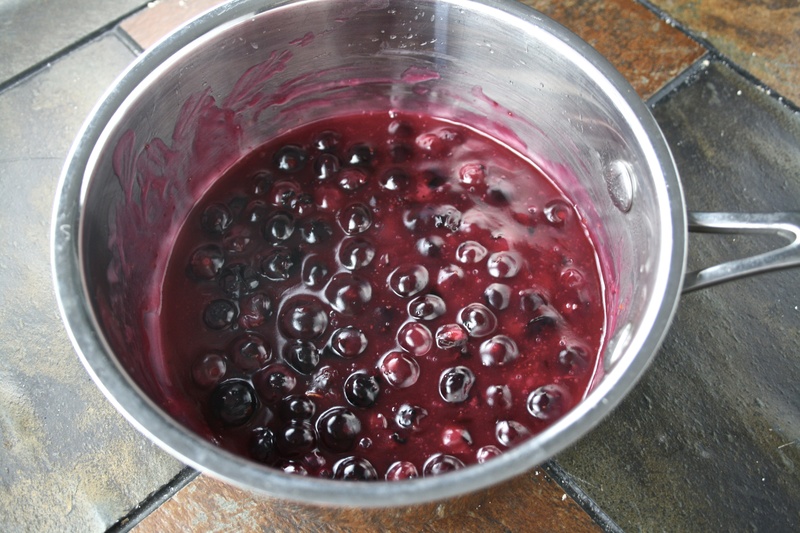 – Make Blueberry Sauce: In a small bowl, combine the lemon juice and cornstarch, then set aside. 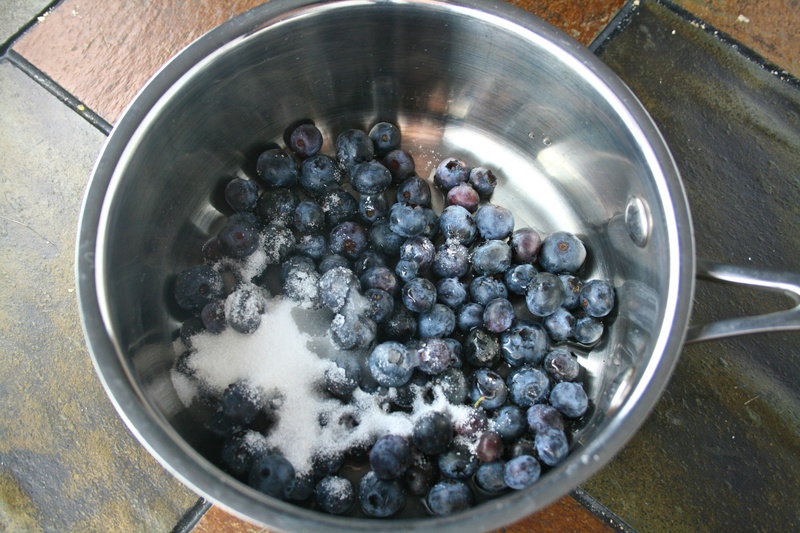 – In a medium saucepan, combine the blueberries, 1/4 cup sugar, water and 1/4 teaspoon salt. – Bring mixture to a boil over high heat. Reduce to a simmer and stir in lemon juice-cornstarch mixture. – Simmer, stirring, until the sauce thickens slightly, about 2 minutes more. Cover and set aside. – Make Pancakes: In a large bowl, whisk together flour, 3 tablespoons sugar, baking powder, baking soda and remaining 1/4 teaspoon salt. – In a medium bowl, whisk together ricotta, egg, egg whites, lemon juice, lemon zest and canola oil. 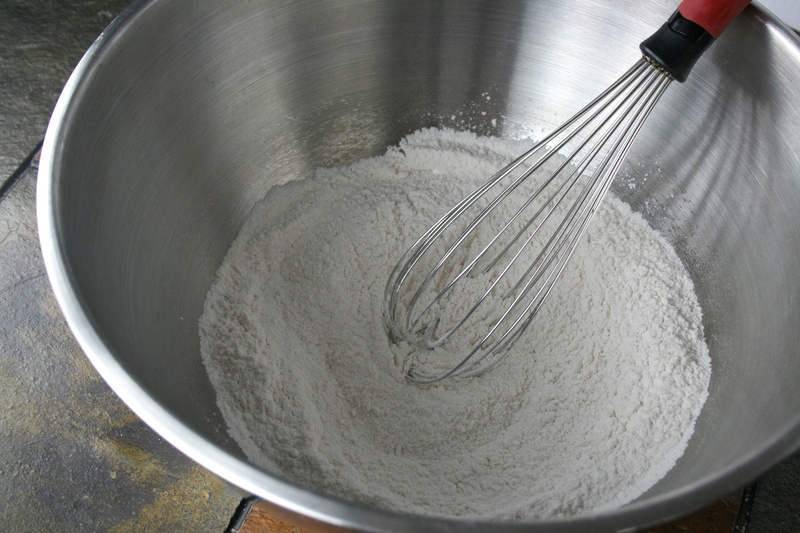 – Fold this mixture into the dry ingredients to make a thick batter. – Brush a nonstick skillet with canola oil and heat over medium-low. 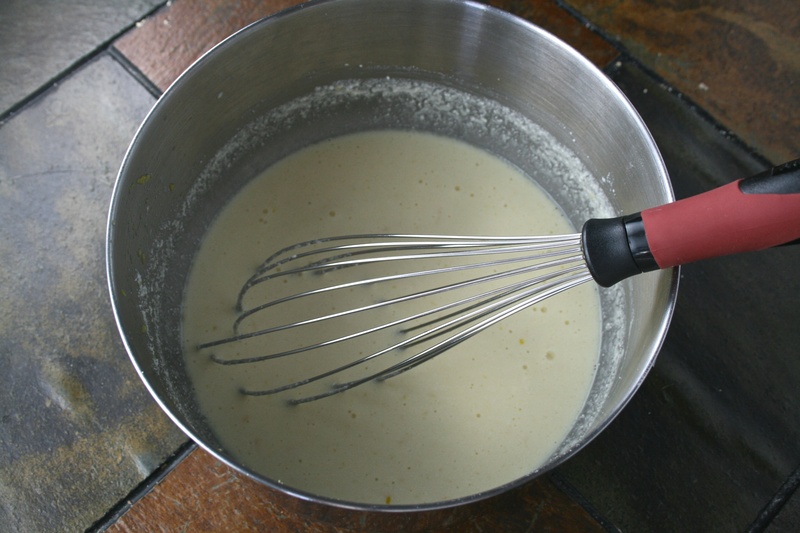 With a 1/4 cup measure, drop the batter onto the skillet, spreading it slightly. – Cook the pancakes until browned on the underside and beginning to set, about 2 minutes. Flip and cook until browned on the second side and cooked at the center, about two minutes longer. – Brush the griddle or skillet with the remaining oil and repeat with remaining batter. Fragrant blueberries, ah I can smell them now! Ricotta and lemon in the pancakes; a winning combination. With the weekend approaching I may try these. Lovely post! Thanks for such a nice comment, Deb! If you try them, let me know what you think. Hope you like them! One of my favorite pancakes ever! The last time I made them for a group, a vegan had joined us and wouldn’t touch them. I would be hard pressed to be vegan if it meant not enjoying something so scrumptious! Mouth is watering. I always prefer a fresh fruit sauce to any super sticky syrup any day, and the recipe for the pancakes has me intrigued (I love most anything with ricotta)…will have to give these a try! These look fantastic!! We do pancake Sundays as well! The lemon and blueberry has me swooning over here. Thanks for sharing! Thanks for reading 😉 I’ve done pancake Sundays with my older daughter since she was about 2 or 3 and it’s a tradition that just stuck. It used to always be plain or rainbow sprinkle pancakes but as she gets older, her palate changes and she’ll now let me make her other variations which is nice. It’s a nice way to start a relaxing Sunday. I am definitely making these tonight……. Lemon and berries are just the perfect match! Let me know how they come out! They were really fresh, light and fluffy. Hope you like them! If you make them, let me know if you like them. Hope you do! They were really fresh and light and fluffy. Oh no, that doesn’t sound appetizing. Sorry to hear that… That wasn’t my experience. And yes, they are definitely a more moist pancake because of the cheese. Glad you tried them none the less! I wish this would have made more than 10 pancakes. Then I could have tried them. My family loved them however. Tried these tonight! Absolutely amazing! These pancakes look SO yummy! I love pancakes with ricotta in them…gives a great texture. The flavors sound wonderful! Is the half cup of lemonjuice for the blueberry sauce? and the 1 1/2 tablespoon of lemonjuice for the pancake mixture ? please advise. i finally have all the ingredients and i cant wait to make this. So glad you’ll be making these pancakes. Hope you enjoy them! 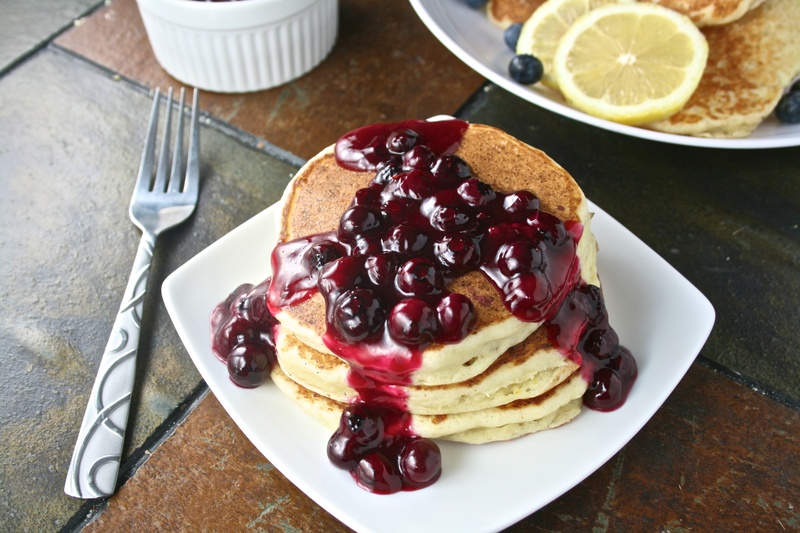 The 1 1/2 Tablespoons of lemon juice are is for the blueberry sauce and the 1/2 cup lemon juice goes into the pancake batter. Enjoy! I’m so glad you enjoyed them!! I really liked the lemon flavor of the pancakes. Nice even without the blueberry sauce too! We served these at our company breakfast today, they were fantastic. Thanks for sharing. So glad you liked them! They are one of my favorite pancake recipes. So good! Hi there. The pancakes tuned out beautifully soft and fluffy. 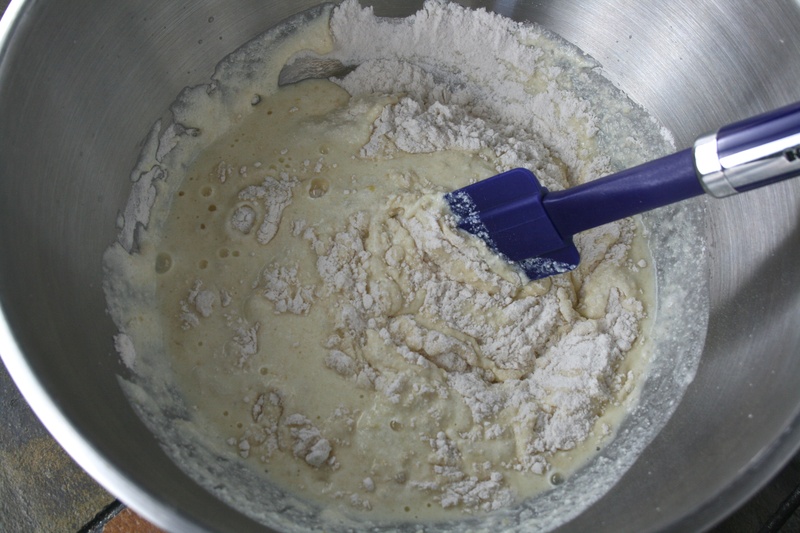 I did modify the recipe by adding milk to the batter to make it into a more manageable consistency. Loved the lemony flavour too, great recipe. Thanks. I’m so happy you enjoyed this recipe Srishti! Thank you for telling me about your experience.